Broken windows, shower doors, storefront, mirrors, entryways, glass rails, and more! If you would like us to provide you with glass installation services, please call our office (978) 988-1144 to discuss what you need. We typically send out our installers to measure for glass and determine what other materials, how many men for the job, and approximately how long the installations should take to complete. Upon confirmation of the job and all requirements are met, we will begin production of your glass/architectural metals and order any necessary materials. Our Installations Manager schedules when we will go out to work on a job. We work on both small projects at residences and businesses and large projects in commercial glazing. Please contact our Estimator if you would like us to provide services for you or to bid on larger jobs. We take pride in the work we do here at Contract Glass Service, Inc.
Glass Installation is a skill that requires years of experience to carry out professionally and safely. Glass can be installed in a wide variety of applications including windows, doors, storefronts, mirrors, shower doors, and many other commercial and residential applications. There are two main types of installations: glass replacement and new glass installations. Typically, glass replacements are done when windows break or fog up and the shashes and frames that hold them together are still in working shape. New Glass Installations are done during new construction, renovations, or when the shashes and/or frames have been destroyed somehow and need replacing. Other common reasons for new glass installations are done for improving energy efficiency. The majority of our window replacements are done from the outside for commercial applications. For residential, the majority are done from the interior. It depends on the type of windows, but feel free to ask our representatives/glaziers when measurements are being taken. We do the installations year round, though some jobs are weather dependent. If we need to seal a window, it will most likely need to be postponed due to inclement weather. Contact our Installation Manager if there's a scheduling concern. 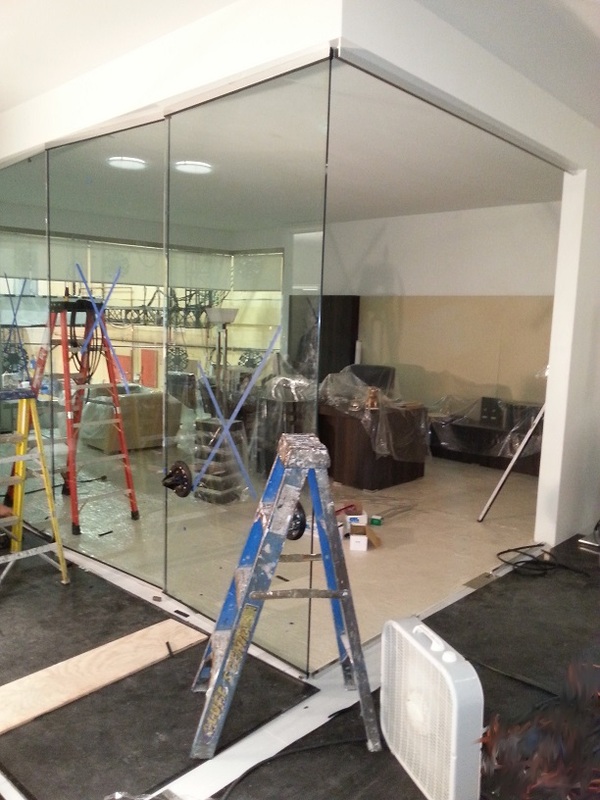 Our crew of highly skilled professionals will help you maintain a smooth process for getting glass installed. They will ensure to answer any questions you may have and to leave the place looking better than when they arrived. Typically arangements need to be made if large furniture or electronics are in the glazing work zone. Contact us to set up a date for a measurement to get your job moving right along.